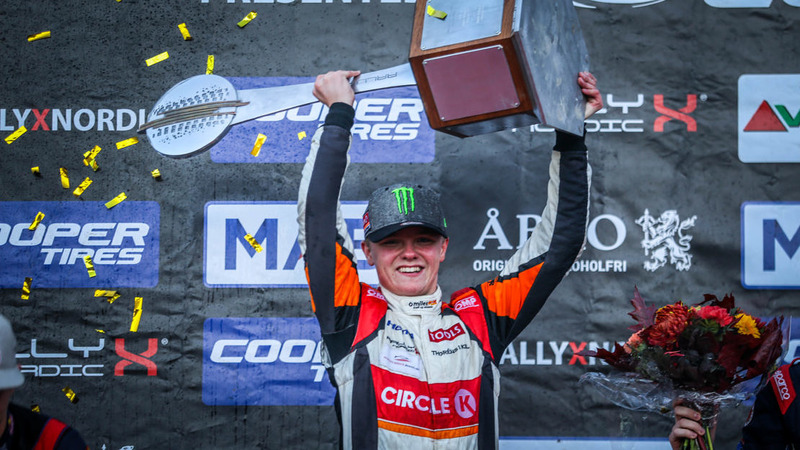 Guillaume De Ridder clinched the 2018 RallyX Nordic presented by Cooper Tires Supercar Lites title after accumulating the points he needed to defeat sole rival Ben-Philip Gundersen before the final. Starting the weekend with a 17 point advantage over Gundersen, De Ridder’s third place finish in the Intermediate Classification, ahead of the Norwegian, gave him an insurmountable advantage with the semi-final and the final still to run. In the final, Marcus Hoglund picked up a superb Tierp Arena win after keeping his nose clean to defeat Guillaume De Ridder and Jimmie Walfridson. 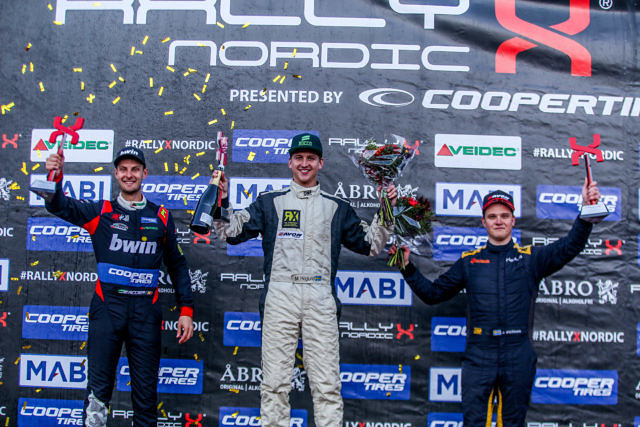 Reinis Nitiss and Nathan Heathcote scored a run at the final on their RallyX Nordic debuts, bringing home fourth and fifth place results, ahead of the out of luck Kevin Eriksson who – having been top qualifier – was on course for a podium only for technical problems to force him out just metres from the chequered flag. 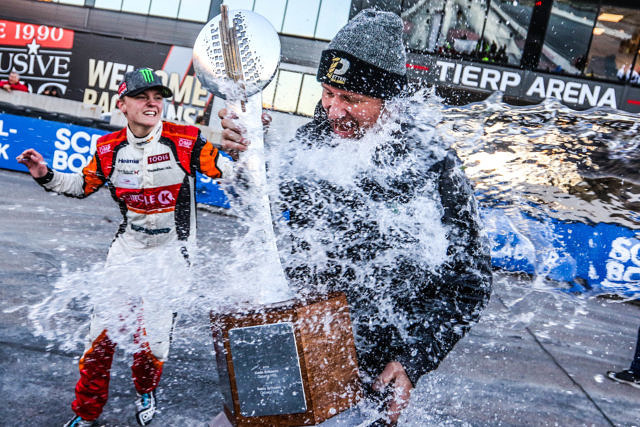 RX Academy and the Speedcar RX (SRX) series’ made it four champions to be determined at the Tierp Arena in a thrilling finale for both. Sami-Matti Trogen protected his pre-event advantage to see off a competitive field of Renault Clio racers, the hotly-topped Finn clinging on to hold off Poland’s Oskar Leitgeber and Estonia’s Marko Muru. 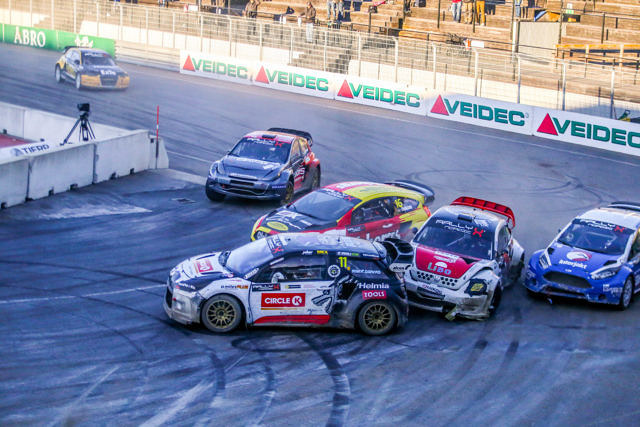 In SRX, Nils Andersson was crowned champion over Isac Egonsson and Jimmie Osterberg following a season of thrills and spills for the popular Speedcar series.